Factoring is one of the financing methods you can use to get the working capital to grow your business. However, like any other type of financing, it is important that you avoid some of the common errors made when you are selecting the company you will work with. Remember, while the process of factoring may be the same, there are some things you should avoid while choosing a factoring company. One of the most important things you should verify is whether the factoring company understands your business. Keep in mind, many times, you need more than simply invoice factoring Read more: https://html.com/attributes/a-title/#ixzz4vi7MRdaf; if you need additional services, finding the right company is more important. 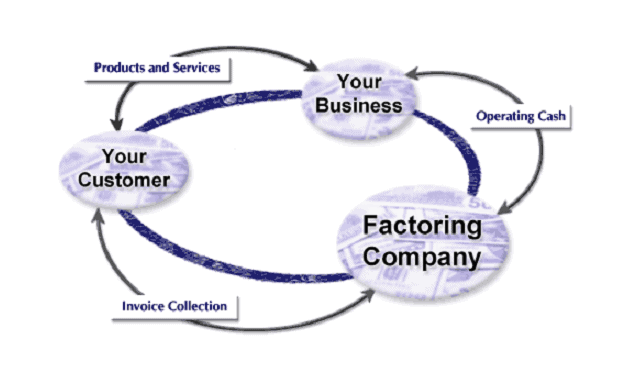 Take the time to discuss not only the field you serve, but also discuss your business model with the factoring company. Remember, the right company may be able to offer you additional services. Find a factoring company that does not take a one-size-fits-all approach; it could be important later. Do not hesitate to ask a factoring company for references; most companies will not hesitate to provide you with the names and contact information of satisfied clients. While you may be tempted to accept an offer from the company that offers you the lowest fee, remember, you could be surprised by hidden fees. Review the contract completely and determine exactly what the company is offering, and what you are being charged for their services. You should also be wary of a company who asks for a long-term contract; remember, if you are tied to a long-term contract and the financial situation in your company changes, you could be tied to a contract that you no longer need, or want. Read the fine print; having an understanding of what you are agreeing to is imperative when you are working with any type of financing. When you enter a factoring relationship, you will be turning a portion, or all your accounts payable collections to the factoring company. You want to ensure your customers are treated with professional courtesy; remember, you could lose business if the factoring company staff members who are handling collection activities are not well-trained. Make sure the factoring company has well-trained staff; staff who uses best practices for collection, and customer service matters. This makes a difference. Once you have signed a contract with a factoring company, you are obligated to take certain actions. For example, you are required to ensure your customers are sending their payments to the factoring company, if you fail to do this, you could incur additional fees, or face other penalties. Additionally, you want to make sure you are forwarding the proper paperwork to the factoring company; if you are factoring invoices, do not send a purchase order and if you are factoring purchase orders, do not send invoices. Discuss all your obligations under your contract with your service representative so you fully understand what you have agreed to; this will prevent problems later. We offer a broad range of products designed to suit your specific needs. Whether you need spot factoring of invoices, purchase order factoring, or lines of credit, Capstone has a solution designed to meet your needs. Because we offer such a broad range of products, we also work with a broad range of clients. We will take the time to ask you about your client base, your current payment schedules, and what your cash needs are going forward. Once we understand your specific needs, we will create a customized solution designed to provide you with the financial products that best suit your needs. We have also helped customers who need logistics assistance; and other customized services. While you are looking for financing, contact Capstone Capital Group. Let us review your business, determine what products work best to meet your needs, and help you avoid many of the problems our clients have indicated they have had to overcome when working with other financing companies. We are happy to meet with you, review your invoices, and show how our products are superior. We also have a dedicated, well-trained team of customer service representatives; you will never have to be concerned about damaging your important customer relations – we believe the better your relationship with your clients, the better our relationship will be over time.